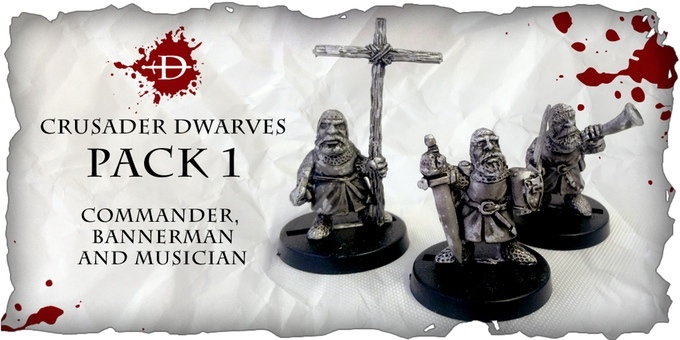 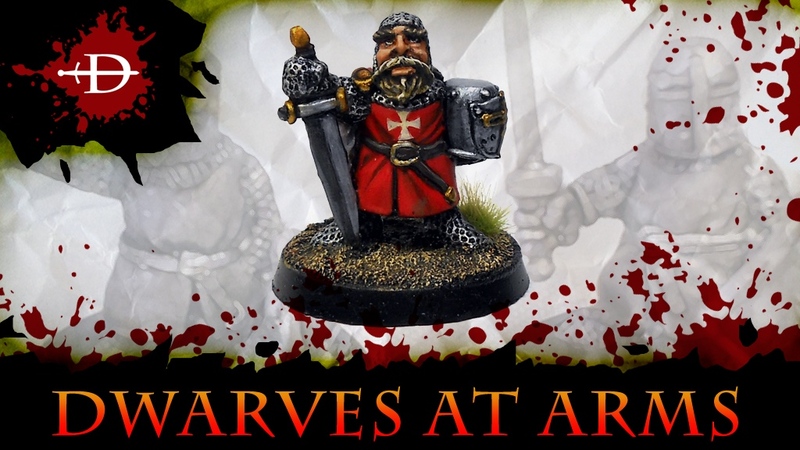 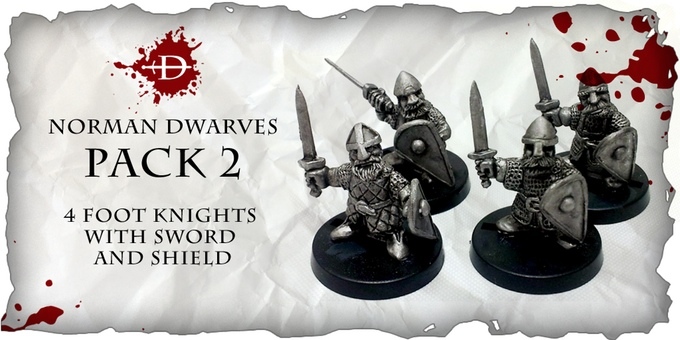 Dwarves At Arms is the latest Kickstarter By Macrocosom Miniatures for a range of Crusader and Norman Dwarves sculpted by Alessio Cisbani in 28mm and cast in white metal. 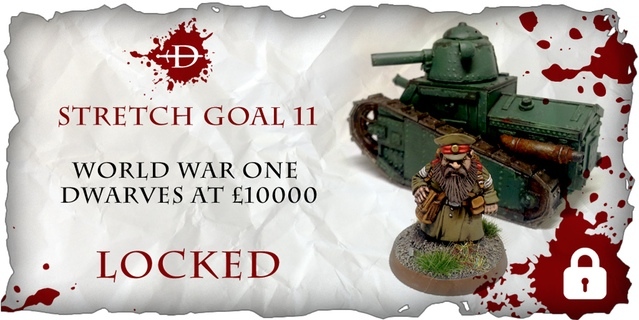 It is a 30 day campaign, its has been funded and is working its way to the first stretch goal. 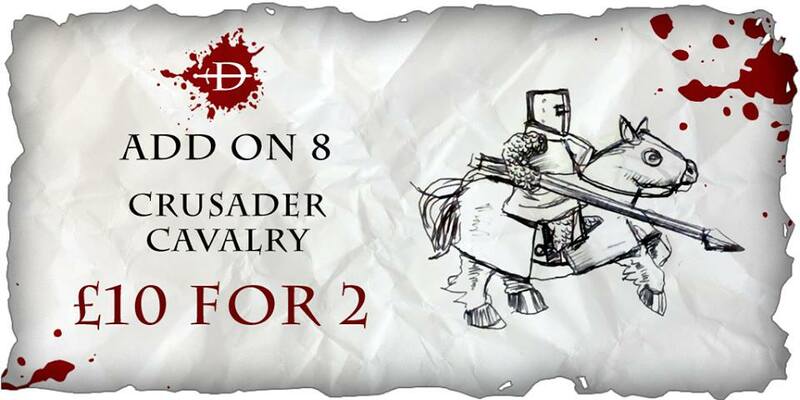 Mounted Crusaders and Normans are now unlocked, Pictures to follow for the Crusaders. 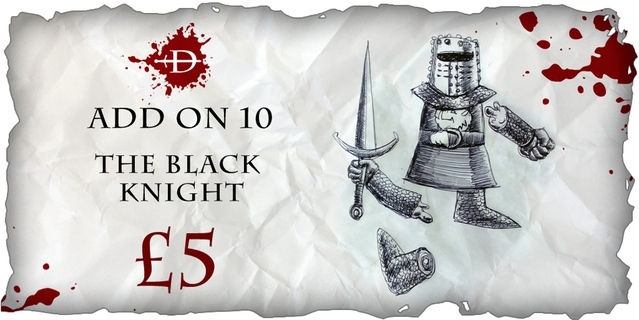 The Black Knight has been unlocked and is a £5 add-on. 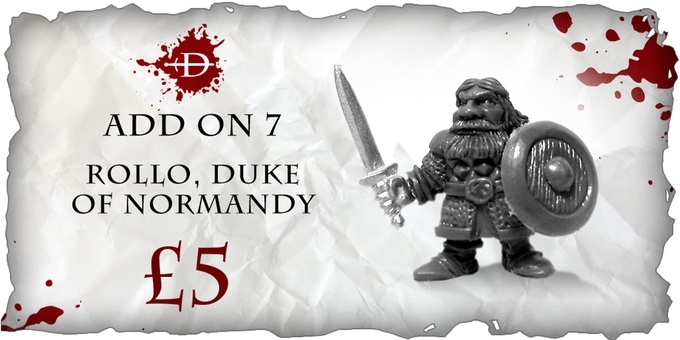 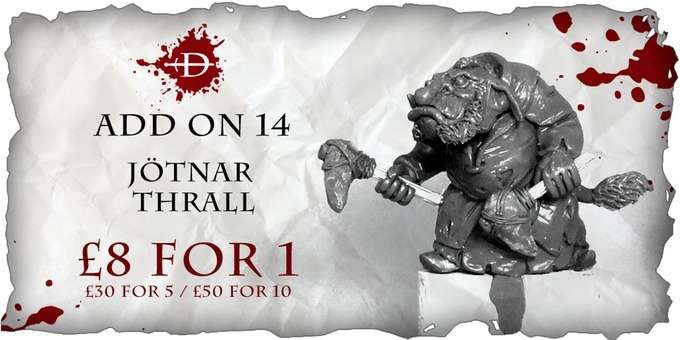 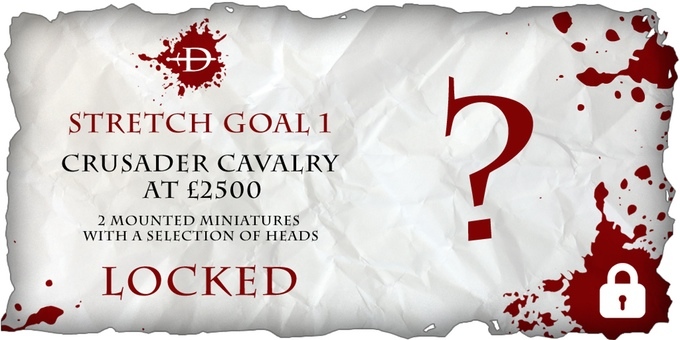 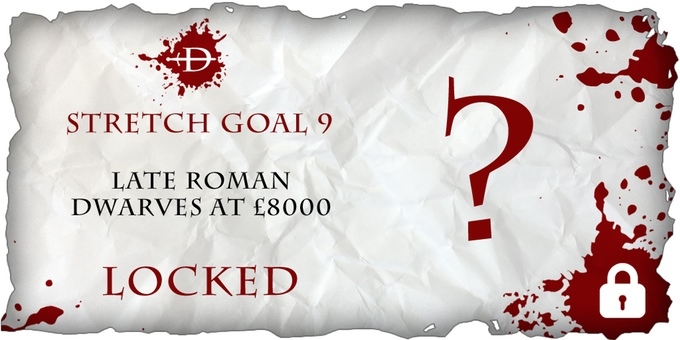 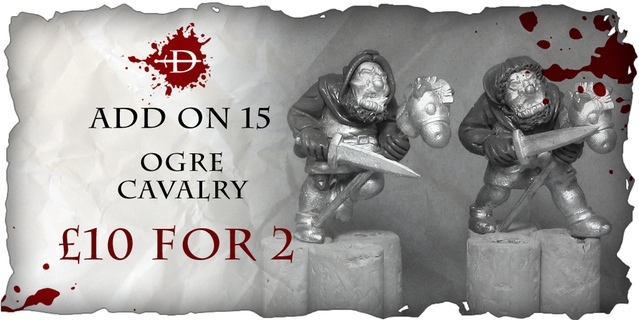 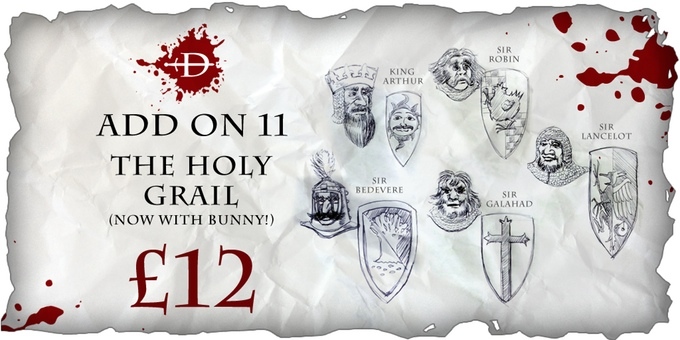 Another stretch goal down, The Holy Grail minis are now unlocked and are a £12 add-on. 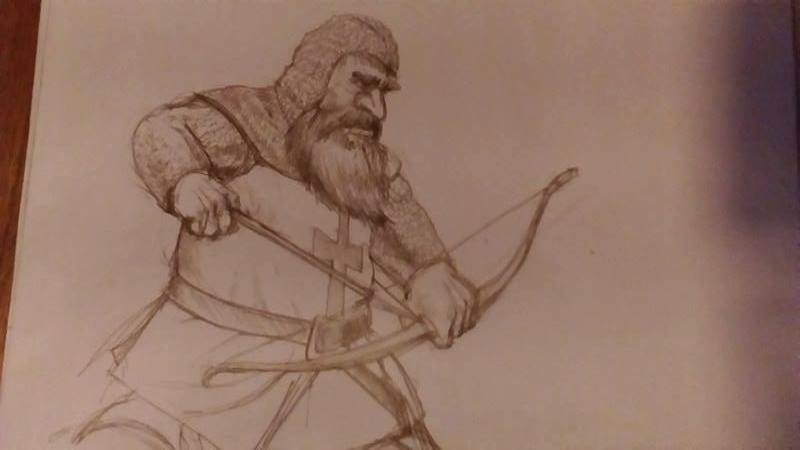 A bunch of stretch goals have been unlocked including the new Northmen/Viking Dwarves and the Dwarf archers have just unlocked, also a slew of Halflings and Jotnar thralls have been added to the add-on section, the next stretch goal they are working towards is the English Civil War Dwarves. 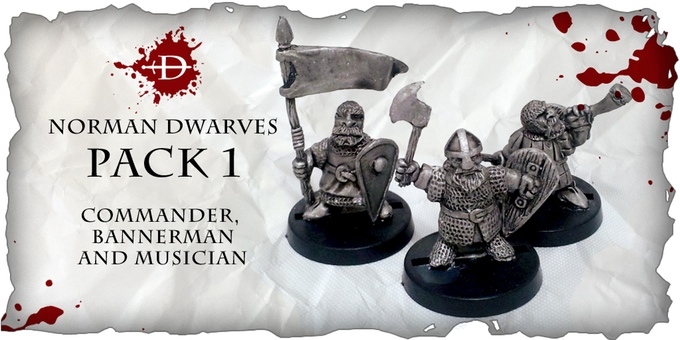 Pack 1 - Ragnars Crew - 4 personality miniatures Including Ragnar, A shield Maiden, A boat builder and Ragnars Son. 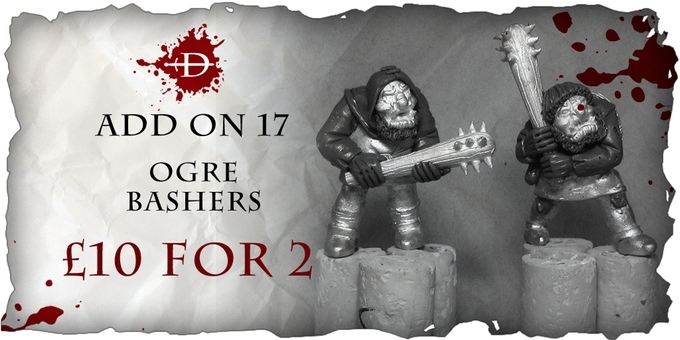 Counts as 2 picks or £16 add on. 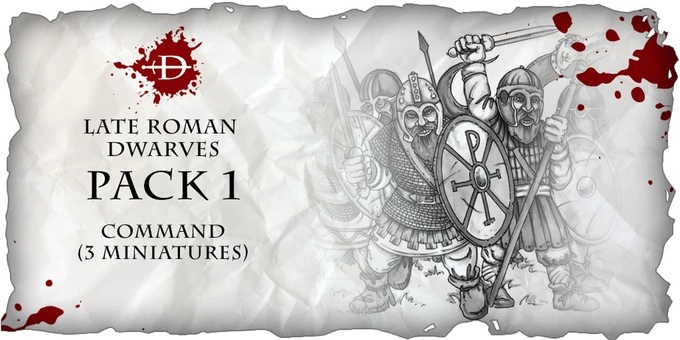 Pack 2 - Command - 3 multi-part miniatures. 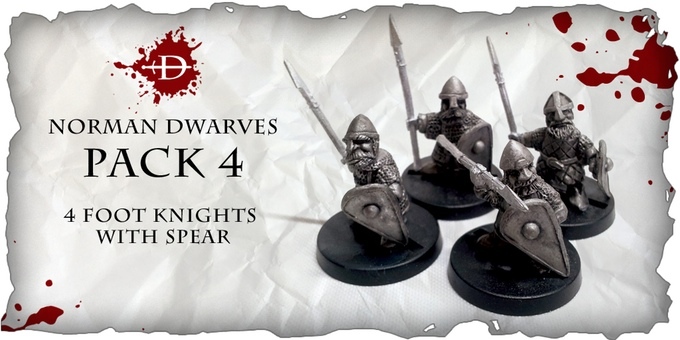 Pack 4 - 4 Huskarl wit spear and shield multi-part miniatures. 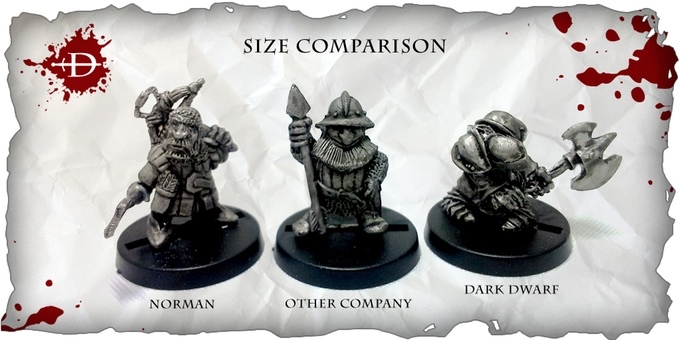 Pack 5 - 4 Bezerker miniatures. 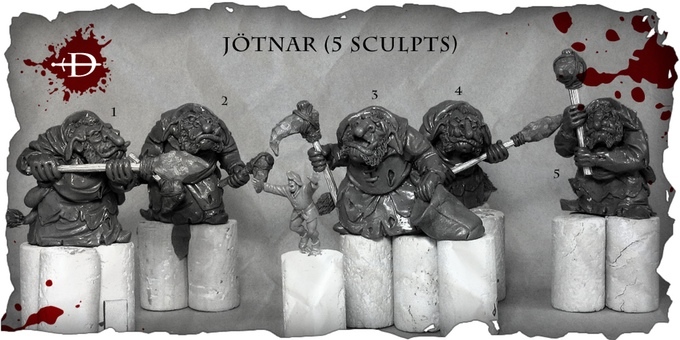 More pictures to follow once the artwork/sculpts are done. 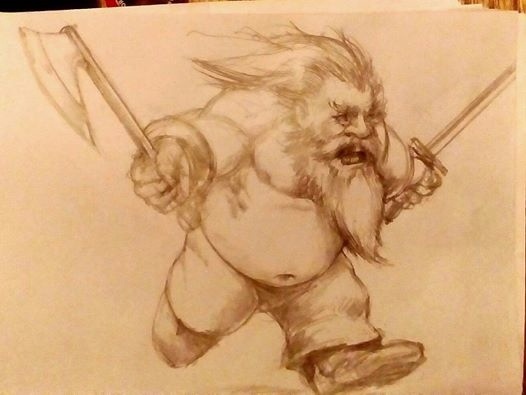 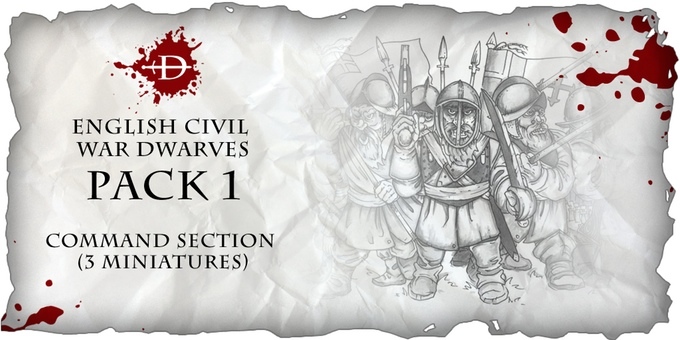 The English civil war Dwarves are now unlocked and they are working towards the late Roman Dwarves. 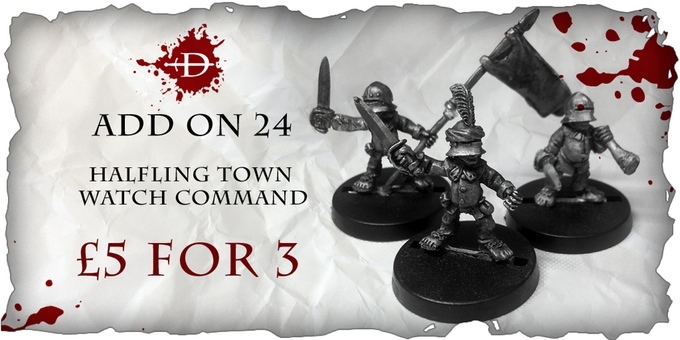 Pack 1 - Command, drummer, banner and captain 3 heads. 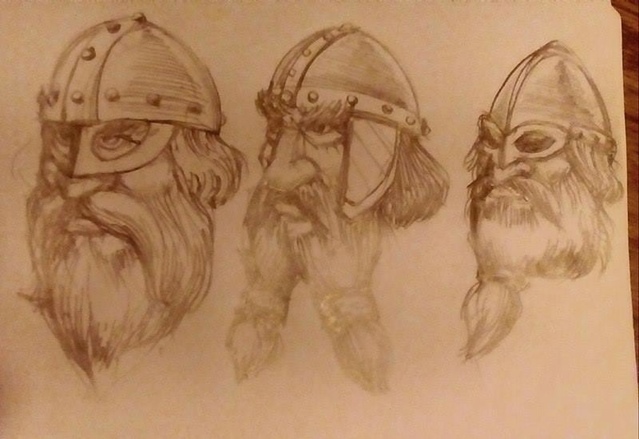 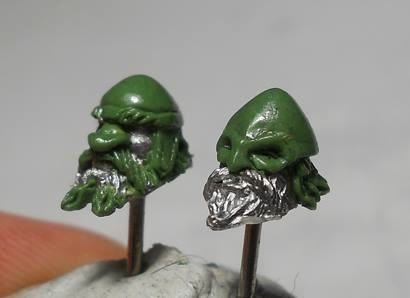 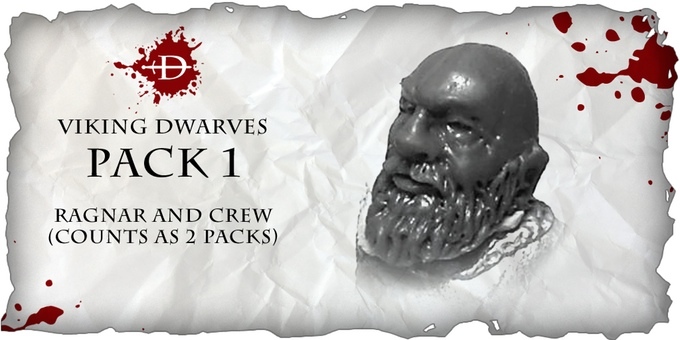 Pack 2 - 4 Dwarves with pike shouldered 4 separate heads. 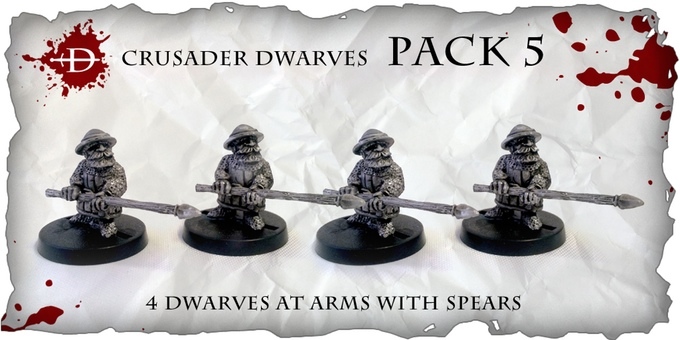 Pack 3 - 4 Dwarves with musket shouldered 4 different heads. 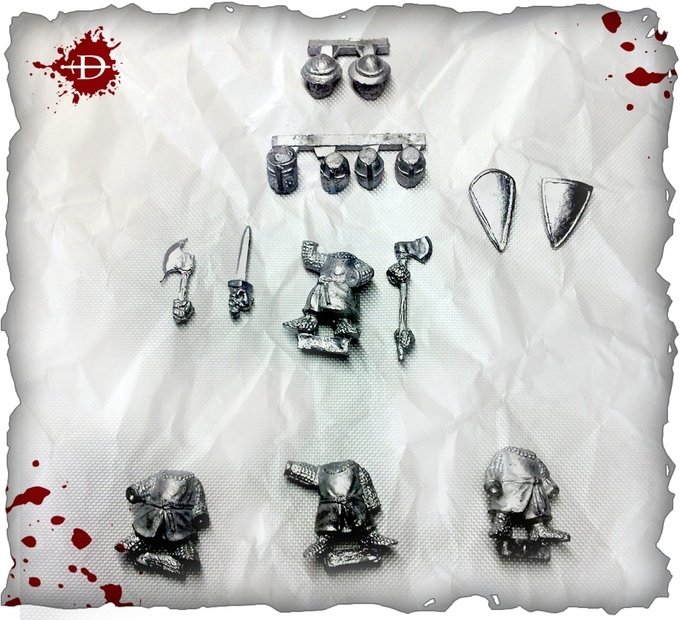 Pack 4 - 4 Dwarves with musket aiming(2 different bodies) 4 heads. 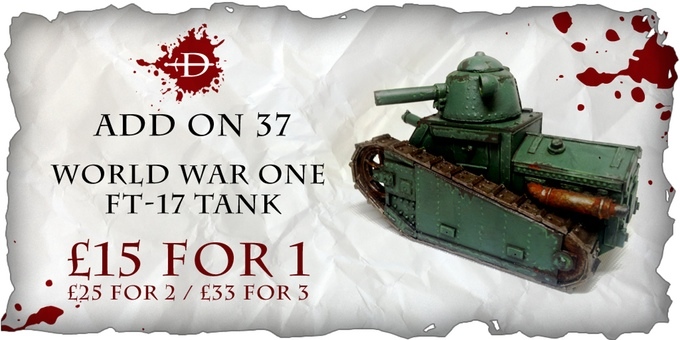 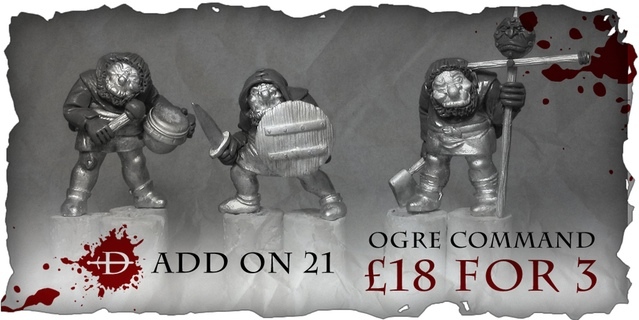 There has been a bunch of Ogres added to the selections of add-ons on offer, including command unit, cavalry, bashers as well as a few other units. 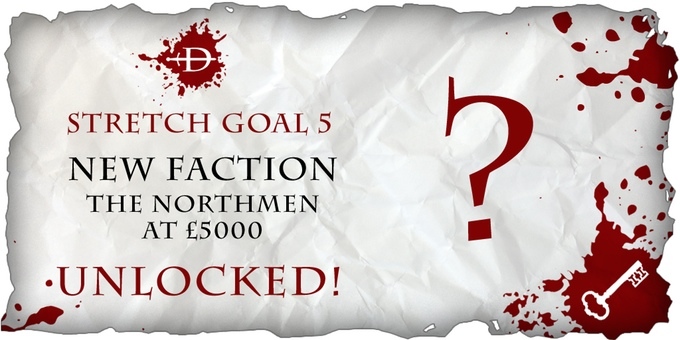 There is also a "like and share" competition post on the official Macrocosm Facebook page, its the pinned post. 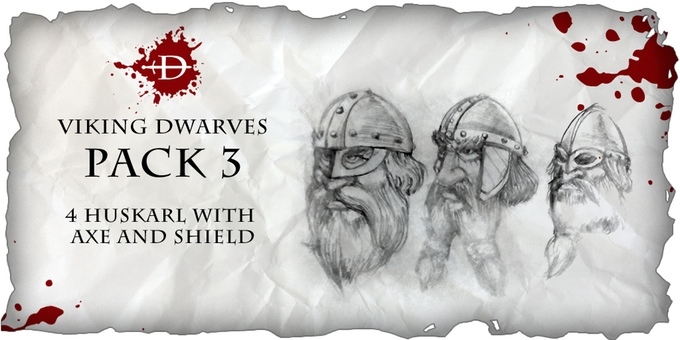 Some more artwork WIP pictures have also been added to the campaign page. 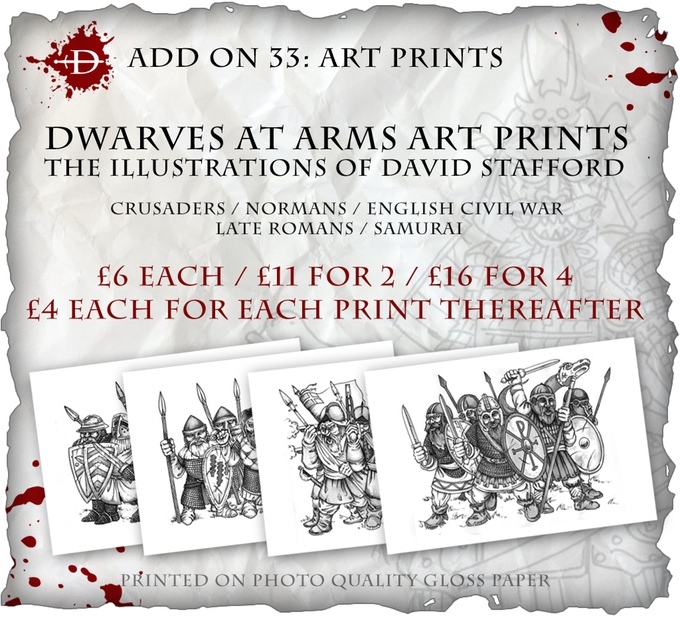 Art prints signed by the artist have been added to the selection of add-ons. 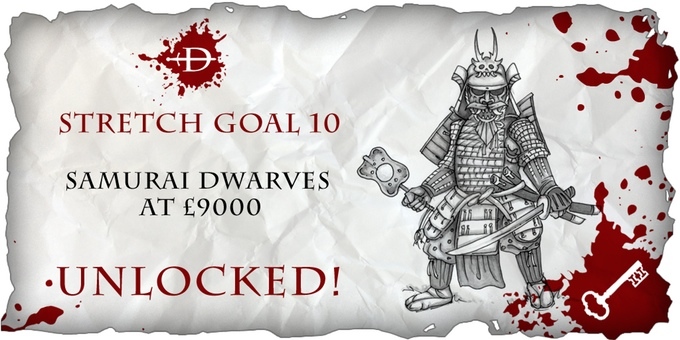 The late Romans are unlocked and they are working their way towards the Samurai Dwarves, then its onto the WWI Dwarves! 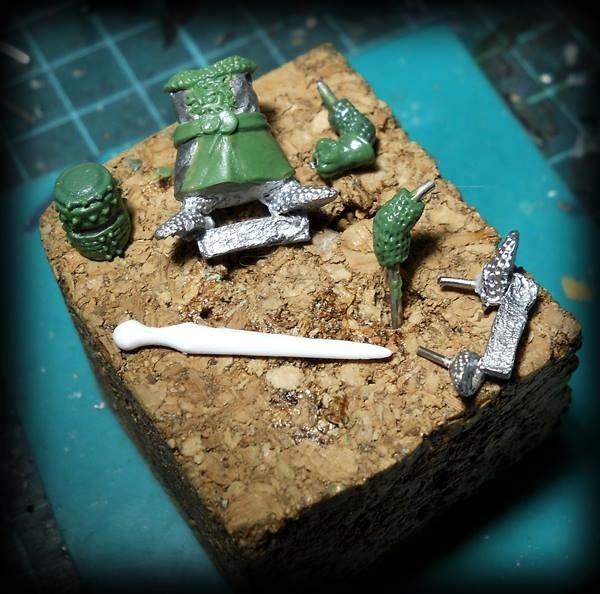 There is also another WIP picture of the Black Knight. 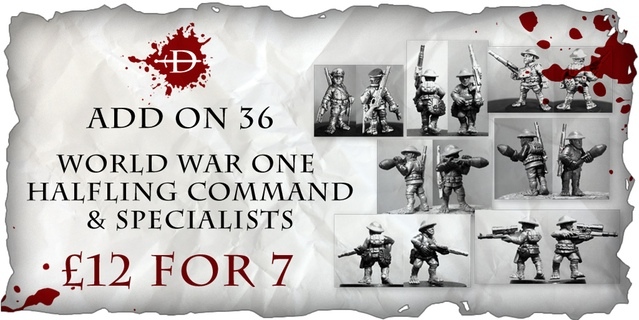 Pack 1 command, 3 miniatures inc standard. 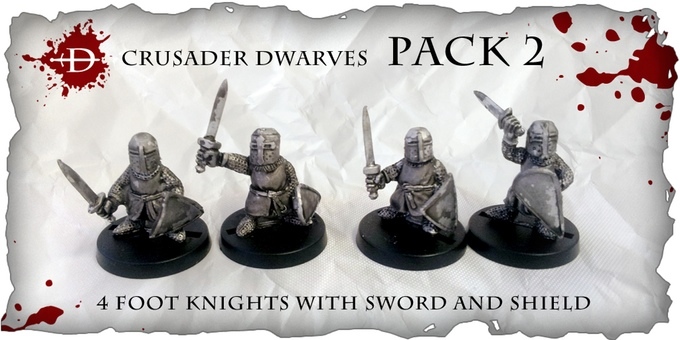 Pack 2 Warriors with sword, 4 different heads and bodies. Pack 3 Warriors with spears, 4 different heads and bodies. 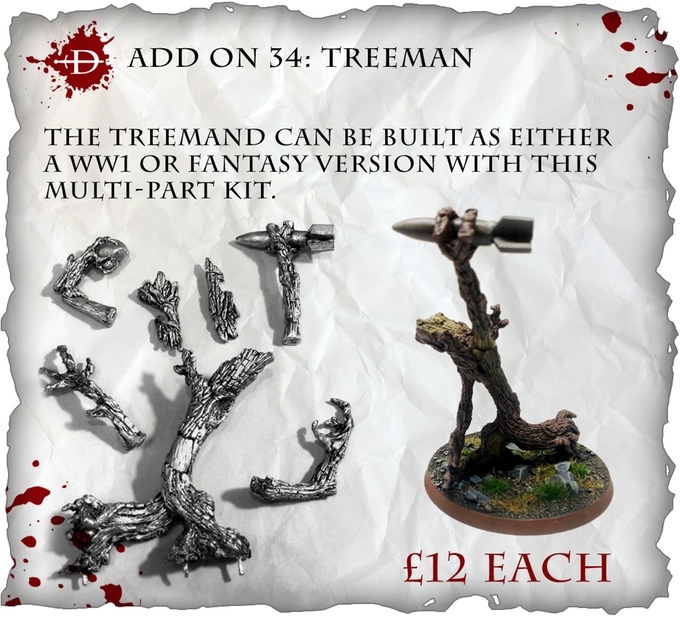 Halfway to the Samurai Dwarves stretch goal, a Treeman has now been added to the selections of add-ons. 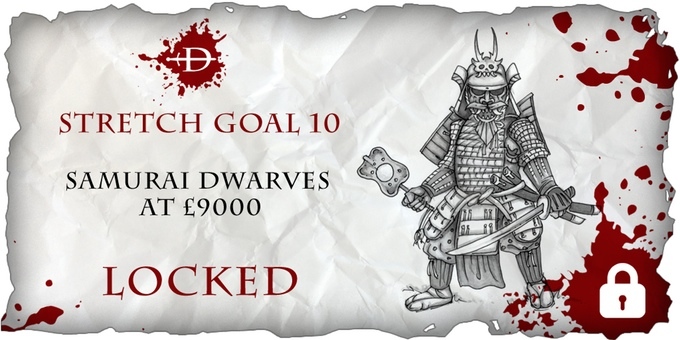 The Samurai Dwarves are now unlocked and they are working their way towards the WWI Dwarves, then its onto the Spartan Dwarves! 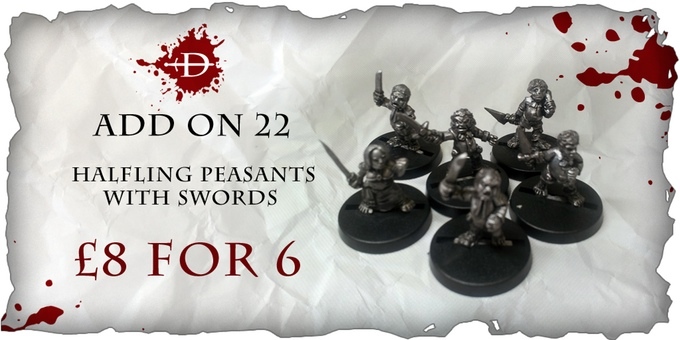 Daimyo & retainers - 3 unique miniatures. 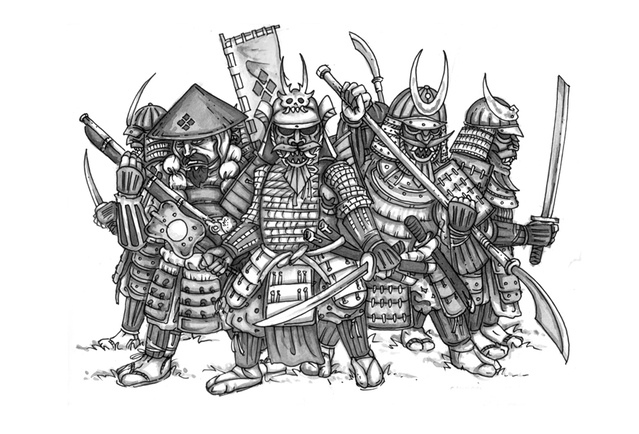 Samurai with daisho - 3 bodies 4 heads. 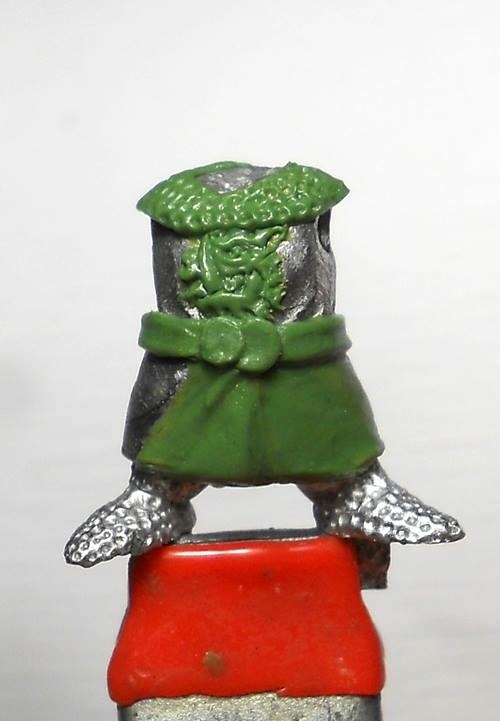 Samurai with naginata - 2 bodies different and 4 heads. 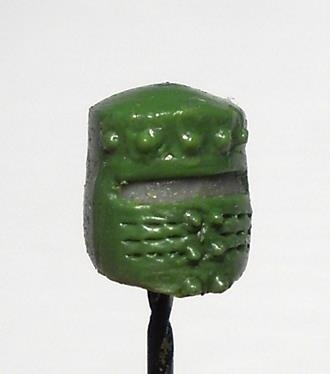 Ashigaru with teppo - 2 unique (1 kneeling 1 standing) and 3 heads. 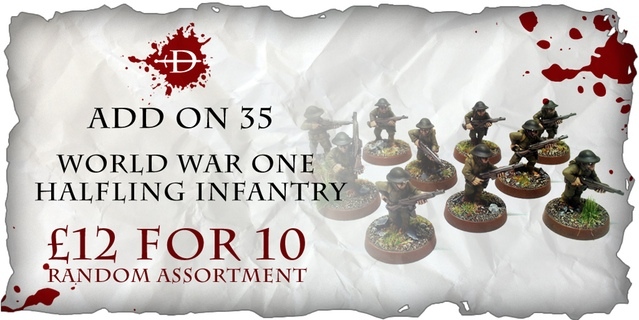 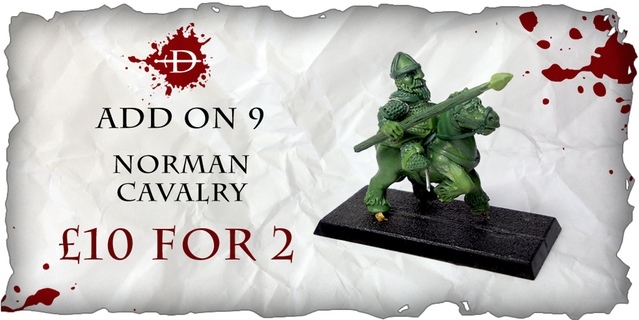 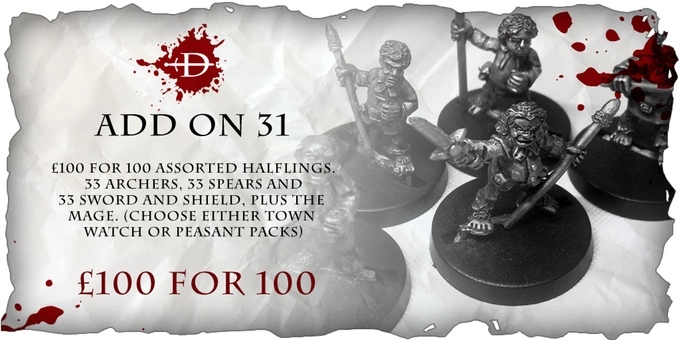 WWI Halflings have been added to the selection of add-ons on offer.